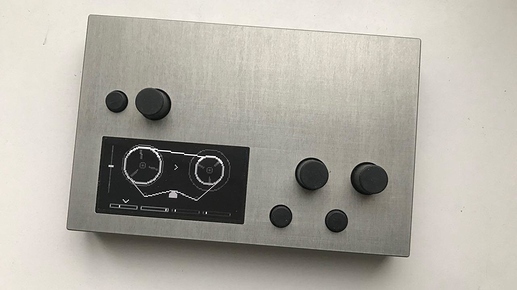 Reels is a 4-track asynchronous looper, inspired by op-1 tape recorder and mannequins w/ eurorack module. reel to reel tape player for monome norns. 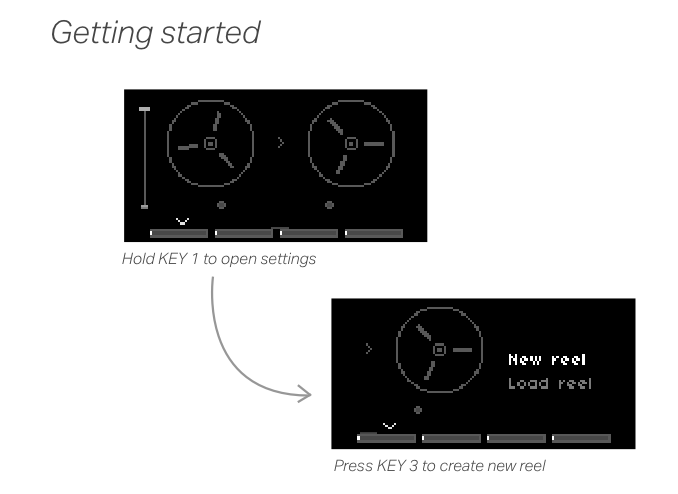 Contribute to itsyourbedtime/reels development by creating an account on GitHub. Really enjoying this one, great stuff! ‘Clear clip’ is throwing an error – I think this probably just needs updating to match the latest softcut. I’m finding that recordings sometimes land in unexpected places on the tape loop. Hard to work out exactly what’s happening here but it seems like a play or rec head is somehow getting offset? 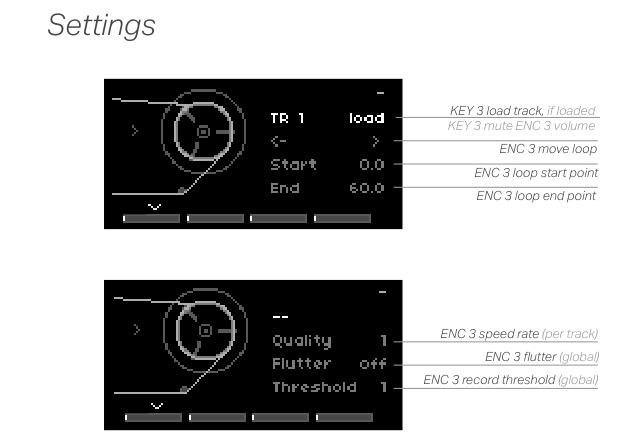 Also seeing some unexpected states if you select a different track while rec is armed. It seems like this causes recordings to land on the wrong track. Easy enough to avoid but maybe worth handling it or locking that out of the UI. Having great fun with this - oh! I wish a couple of things (sometimes found on the more exotic real world tape machines) that would transport it into an amazing sound machine**. Reverse** - select reverse and it plays reverse, select again back to normal. AND Speed set to 1 (default) = normal speed, 0.5 = half speed and so on, down to say 0.2 fifth going the other way - who knows! Up to a max of say 4x. Reels is beautiful! with the new update also much more stable. How long can the samples be? Can you confirm this is still happening in latest version? Also there seems to be a little bug with displaying playhead when loading clips to buffer and immidiately starting playback - playhead starts moving while file is not loaded yet - it start playing with a little delay and therefore UI playhead position is wrong. i think general issue is that currently, reading buffer blocks OSC handler thread in crone process. so, subsequent commands won’t take effect immediately and there are weird delays. pushed a branch with worker threads but haven’t extensively tested; feedback on this branch is welcome (you need to re-run ./waf in ~/norns to rebuild.) also, minimal test case would help for command-delay issues. @its_your_bedtime in response to query about clear_region, i noticed API doc is wrong - arguments are (start, duration) not (start, end), so maybe that helps. hm, not a bad idea. there’s nothing like that righ tnow. pretty straightforward but requiring substantial amount of new glue, and some thought to make lua API not too ugly. Awesome, will check it out this weekend! Checking out the latest version, all fixed, thanks for that! 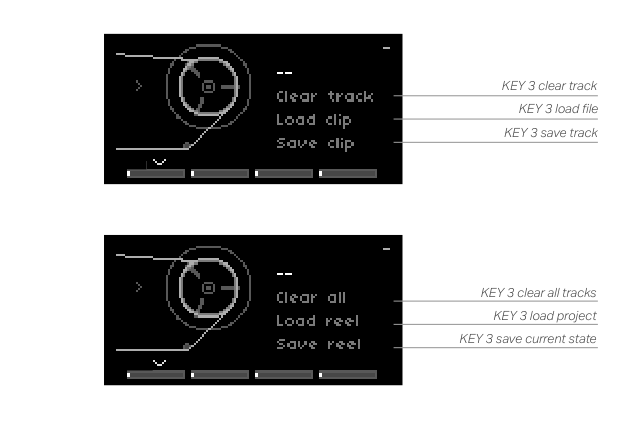 One other small thing: arming rec while not playing seems to actually trigger playback (although the visuals remain stopped). Really enjoying reels. Would you consider adding Arc support? I think this would really work well with it. I’m not sure what happened but after updating to the latest version of Reels and running it briefly it crashed my norns and even after a hard reset it keeps freezing up now. I’ve managed to load some other scripts fine but when going back to reels it freezes up. Hmm, could you provide some info from maiden repl? I’m getting (error: load fail) when attempting to start reels. Is there another library I need to install in addition to what I put into ~/we/dust/code ?